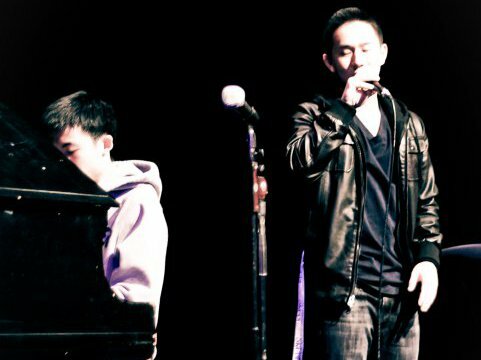 While music hopefuls in Japan and South Korea audition their way to fame through their intricate pop music factories, and their counterparts in Taiwan and China try to achieve their own dreams by running through intense televised talent show competitions, Taiwanese-American rising R&B music sensation MiniAchilles a.k.a. 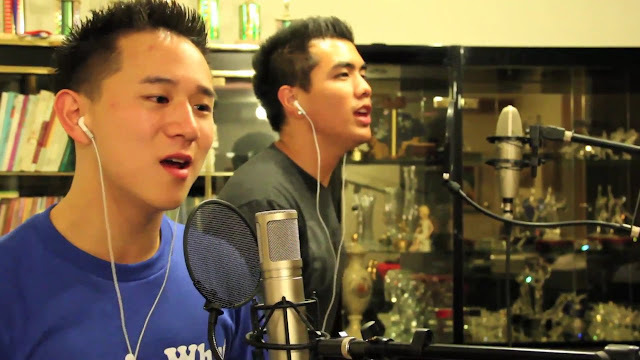 Jason Chen brings a more western touch for showcasing his talented vocals to the masses: by converting viewers into fans through the power of social media such as YouTube. As a recent business economics graduate from the University of California at Los Angeles, the southern California resident evolved from producing ear-pleasing acoustic creations into crafting amazing re-imaginings of contemporary hits. From his soulful mash-up interpretation of Eminem's â€œLove the Way You Lie/Not Afraidâ€�, his most excellent pure English cover of Taeyang's â€œWedding Dressâ€�, and his addictively soothing remix of Nelly's â€œJust a Dreamâ€� with fellow YouTube artist Joseph Vincent, it is not surprising that he has a significant following on various online social network sites such as Facebook, MySpace, and Twitter. In addition to the collaboration release of his latest â€œJust a Dreamâ€� cover, the aspiring R&B musician is no stranger to producing collaborated musical masterpieces. One only needs to take a listen to his duet part in the Jason Derulo cover of â€œIn My Headâ€� with fellow YouTuber CP, as well as his guest vocals in YouTuber Lil Crazed's cover of Train's â€œHey Soul Sisterâ€�, to know that Jason can produce candy to the ears without the autotune cavities that has been the trend on radio airwaves. Jason's musical talents are not limited to vocals either, as his collaboration mashup with YouTuber J Rice on B.o.B's "Nothin' on You" and The Script's "Breakeven" demonstrates that he can perform with graceful violin-playing skills as well. With his Taiwanese background, the rising R&B singer also lends his singing chops in Chinese Mandarin with refreshing takes of Wang Leehom's â€œThe One and Onlyâ€� and Gary Cao and Genie Cho's â€œRomeo and Julietâ€� with Wendi Lee (who herself went on to compete in Taiwan's singing talent show Superstar Avenue Season 3). In fact, after Chinese video streaming site YinYueTai's feature of Jason's â€œLove the Way You Lie/Not Afraidâ€� garnered about half a million views in a span of two weeks, the singer will soon release his own rendition of Wang Leehom's "All The Things You Never Knew" as a way to thank his Chinese fans for the massive support given by them. If there is one artist that can prove that if you can sing it, they will come, then it is Jason Chen. It is thus no wonder that the R&B singer is gaining more and more fans on a daily basis. The fact that he has done it through unconventionally tapping the democratic power of netizens' interests, especially from online video streaming sites like YouTube and YinYueTai, drives home at least one conclusion: that talent, not marketing, is the force behind Jason's rising popularity. In a world where image rules in the music arena, that is a pleasant sound for sore ears. There will be an interview with Jason coming up, and he is more than happy to take questions from fans and viewers. If you have a question for him, feel free to post here, and there's a good chance that it will be responded by him. Yo, I love this dude, he's so talented. His Chinese song covers are amazing. Someone in TW should sign him, they need some real talent there. ohhh...i subscribed to Jason on YT long time ago. i never thought I would see him on AF news portal!!! He has such a nice voice. Honestly, YouTube has a LOT of talented singers out there. how old is jason chen? not sure is it him since it's been there for years. he is so amazing, very talented!! Gonna go subscribe to him on YT now! Love their collaboration. 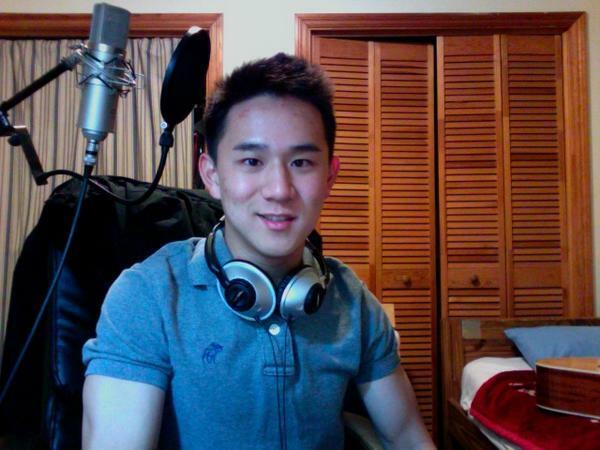 Actually I'm one of the follower of Jason Chen's songs in YouTube. I love his version of the songs. Kudos to you guys. 2 Thumbs Up! creative and gifted..and using his ucla education!! good luck jason!! lol I think the other guy Joseph Vincent sounds alot better and is hotter though! jason is definitely better than a lot of celebrities out there. i found him like about 6 months ago and been really impressed w/ his works.